Sitting Bull, Lakota Medicine Man and Chief was considered the last Sioux to surrender to the U.S. Government. In the early 1850s, the Lakota (Sioux) had begun to feel the pressure of the white expansion into the Western United States. Sitting Bull did not participate in the resistance until 1863 when the settlers threatened the Hunkpapa hunting grounds. He had distinguished himself from an early age as a leader, killing his first buffalo at ten and "counting coup" (touching the enemy without their knowing) at fourteen. Because of his leadership during these times he was named principle chief of the Teton Sioux Nation in 1867. Although the war with the whites ended with the treaty of Ft. Laramie in 1868, the discovery of gold in the Black Hills which was sacred to the tribe caused continued tensions. After participating in the Sun Dance Ceremony, Sitting Bull had a vision in which he saw his people victorious over the white soldiers who had been sent to protect the gold prospectors. Just weeks later, General George Armstrong Custer and a regiment of the seventh cavalry attacked the seven bands of the Lakota Nation along with several families of the Cheyenne and Arapaho. The attack was clearly in violation of their treaty. Precisely as Sitting Bull had seen in his vision, every white soldier was killed that day at Big Horn along with a few Native Americans. Following the success of the battle, Sitting Bull and his followers headed for Canada. After the paticularly harsh winter of 1881, Sitting Bull, and those of his group who were still with him, finally gave themselves up to the American army. Sitting Bull was held prisoner for two years before he was moved to the Standing Rock Reservation in South Dakota. 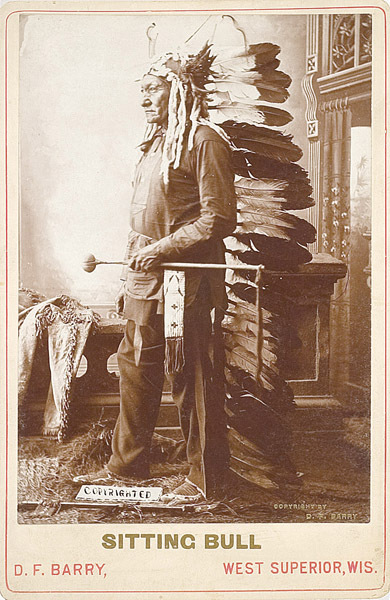 In 1885, officials released him and he joined the Buffalo Bill Wild West Show and toured throughout Europe. 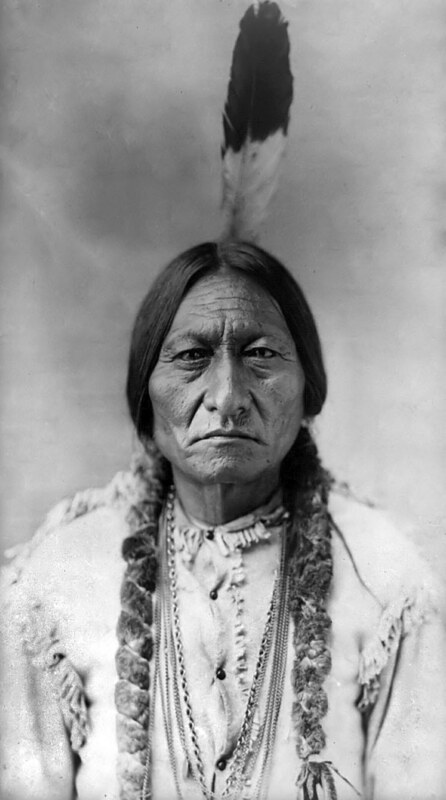 Sitting Bull remained a powerful force among his people, and upon his return to the U.S. would counsel the tribal chiefs who greatly valued his wisdom. Shortly after his return, the federal government again wanted to break up the tribal lands. They persuaded several "government appointed chiefs" to sign an agreement, whereby the reservation was to be divided up and subsequently distributed among the tribal members. Missing from the list of recipients was Sitting Bull's name. Jealousy and fighting among the Lakota eventually led to his death. It was reported that he was murdered by tribal police who had been sent to arrest him.